In high-hazard industries like construction or utilities, worker fatigue can easily result in serious injuries and deaths. But it’s important to note that all workplaces are affected by fatigue, which can lower productivity and increase injury rates in any line of work. Some industries try to handle the problem of fatigue by ensuring their workers always get a certain number of hours off between shifts. However, they cannot control how much sleep their employees actually get, or choose to get, in that time. As a result, tragedies still happen and many companies are now trying out a brand new, technological approach to managing fatigue. Technology supplies a brand-new solution to the problem of fatigue in the workplace, and the use of technological solutions is becoming increasingly popular in high-risk jobs like mining and transportation. A wide range of options—from wearable or fixed position technology to computer applications—is available to monitor the levels of worker fatigue, and the number of devices designed to track employees’ mental awareness is steadily growing. 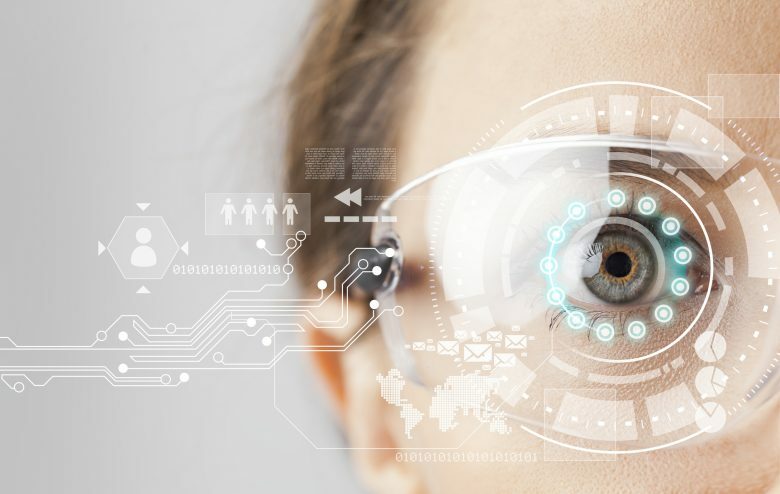 New tools include drowsiness detection glasses, which help workers monitor their fatigue in real time and inform them when it reaches dangerous levels. There are also systems that use non-intrusive technology to monitor a long-haul driver’s head and facial movements, microsleep events and other data. When they detect fatigue they alert the driver and other personnel. There are also hats that measure brain activity and share the results with the wearer. Some companies provide workers with smartwatches, which they are expected to wear especially while they are sleeping or resting. The watches measure, among other things, the employees’ quality and quantity of sleep. Such wristbands or smartwatches can also monitor the wearer’s cumulative sleep debt and circadian rhythms predicting their fatigue levels throughout the day. The devices can let the wearer know when they should go to sleep and how much sleep they need to reduce fatigue impairment. There are also systems designed for computer users, including software that detects mental fatigue by learning about a person’s work patterns and analyzing their computer use. After the learning phase is completed, the system classifies the user’s fatigue and management can use this information to implement changes that reduce levels of tiredness for that particular employee. Other devices and monitoring systems help managers understand fatigue trends in the workforce, track regularities, sudden changes and even predict which days and times are high risk. The tools and devices described above can be extremely useful in preventing serious incidents in which fatigue is a factor. All those devices provide information about employees’ degrees of alertness not only to the workers themselves but also to their supervisors. The results can be automatically fed into the company computer and help the management decide, if required, to give heavily fatigued workers a safer work assignment or rearrange the schedule. In industries with plenty of hazards, safety managers can see at a glance how fatigued each worker is, identify critical risks and intervene. It doesn’t solve the problem of fatigue itself but it might prevent a serious incident. Technology doesn’t cure fatigue but it can help manage symptoms and prevent serious incidents if used correctly. But, as is often the case when humans interact with machines, certain procedures need to be followed and people are not always good with following rules. Just like with PPE, there is a human element in whether or not people wear anti-fatigue technology. There is also the possibility of employees not using devices properly, or trying to “cheat” or reprogram them. When implementing fatigue-related tools at your workplace, you should make it known that the use of these devices is not optional. It’s also important to address the human factors that could lead employees to forget (or choose to forgo) to use the required technology. Additionally, implementing fatigue-monitoring devices shouldn’t come out of nowhere. Implementing technology without additional support or explanation can cause safety culture issues or resentment among workers. A training program that introduces the technology and discusses the reasons it’s necessary is a great start. Training should stress that the regular reports sent from those bands, watches, hats or other devices are meant to reinforce personal responsibility. Equipment can let employees know when they’re dangerously tired, but it’s up to them to decide what to do with that information. That makes fatigue monitors a great pairing with human factors training, as one provides a constant stream of data and the other offers workers the training and support to adjust their behavior when they recognize how tired they are. In the months following implementation, toolbox talks about the issue can also help remind workers about what is expected of them. Such reinforcement will help employees understand the different ways they can prevent fatigue. Hopefully, the end result of all this is that workers will be influenced to take a break or even a power nap, and perhaps even make off-the-job changes to reduce fatigue by going to bed a little earlier, working on their sleeping routine, eating healthier or exercising. Although there is no replacement for human awareness, fatigue-tracking devices can build on existing training and further develop personal responsibility for safety. Create and implement fatigue management programs and educate your staff by addressing issues such as scheduling, breaks, balance between workload and staffing, fatigue monitoring and alertness for duty. Teach employees that there are things they can do at home to prevent fatigue at work, and provide them with relevant materials. The more they know, the bigger the chances of lifestyle adjustments. Provide information on sleep disorders (and support in getting help, if needed). Ensure that the fatigue-monitoring devices are being used as required. Encourage your employees and use positive reinforcement. Do not use the devices to punish people for being tired. Instead, encourage them to make changes that will reduce their fatigue. If workers know they will be disciplined if they appear tired their stress levels will go up, making them even more fatigued. If an employee takes a break because they’re tired or lets you know that they’re fatigued, praise them for their responsibility. In the end, the purpose of these devices is only to monitor fatigue. They’re not able to stop fatigue or tell workers what to do if they’re tired. It’s important to remember that although technology can do a lot, it can’t sleep or rest on your employees’ behalf. It can only tell you when they’re dangerously tired and it’s up to you and your workers to make the right decision. To learn more about fatigue, watch this free webinar on the topic and discover the causes and possible solutions to this steadily growing problem.